It's August 1st and today is my very first contribution to the monthly gallery over at Write. Click. Scrapbook. The theme this month is Go To Designs. Hmmm...does that sound familiar? I decided to use a previous design, because isn't that the point of having "Go To" designs in the first place? 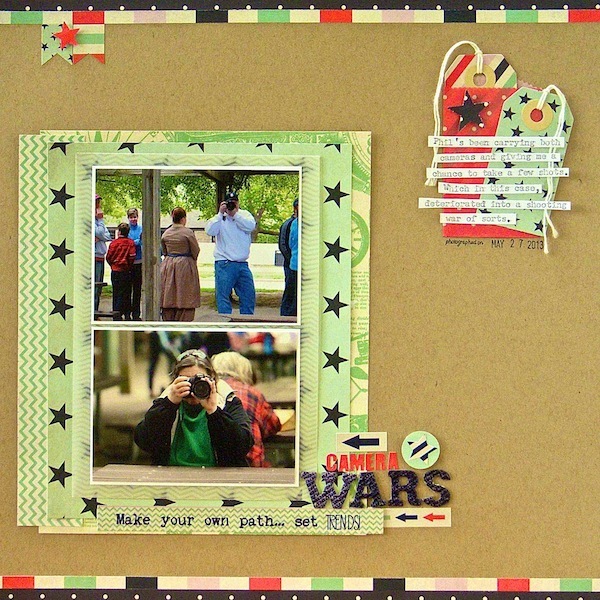 This layout is an example of “Snuggle and Separate.” The photos and title are grouped on larger mats, while the journaling is layered on top of a smaller embellishment collection in the upper RH corner. Because I love to design in groups of three, I couldn’t resist adding a very small embellishment cluster at the top LH corner. 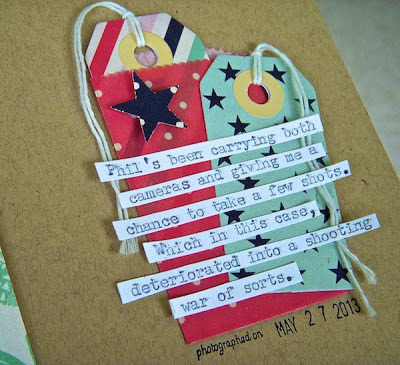 Journaling reads: Phil’s been carrying both cameras and giving me a chance to take a few shots. Which in this case, deteriorated into a shooting war of sorts. You can see what the rest of the team has done here. There's plenty of ideas and inspiration for you to start collecting your own Go To Designs! Love how you used the tags underneath the journaling strips. Great page! Love it Sue!! The Trendsetter collection looks great on the kraft paper, and I love how you clustered the tags and added your journaling strips over them! So who won? I like how you used the star paper as a mat and all the dimension on your tags. Great page! Love this! You used the FP collection perfectly! Fun layout. Congrats! Love your page! What a fun subject to scrap about! This is great. Love the title and the concept for the photos. You two seem to have so much fun on your "adventures". Shooting wars, how fun. Now you just need to dare him to a scrapping war. Cute page. 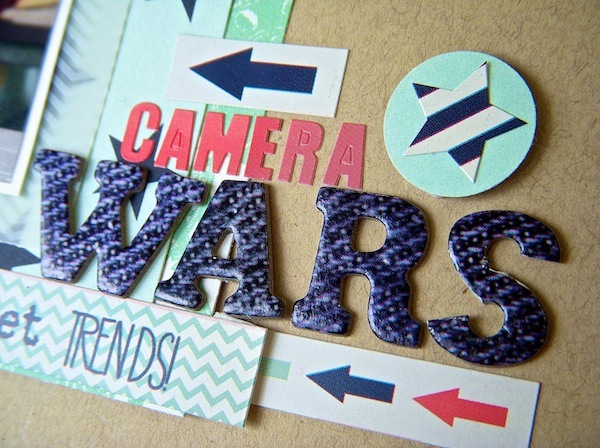 Scrapbook Coach: Criss Cross with a Coupon!